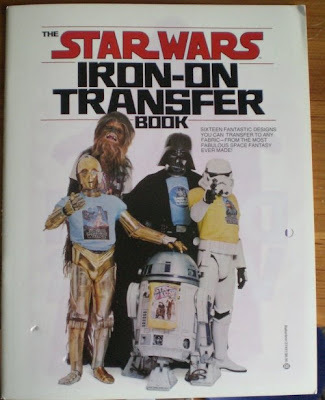 My wife ordered an old iron-on transfer book on eBay. She originally thought whe might use it for a quilt for me...but when it arrived, we realized there's no way we'd do that. 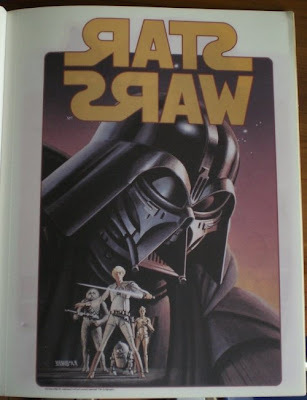 It's far too cool as an old book. (c) 1977 and I'd guess very early because of the text and pictures. 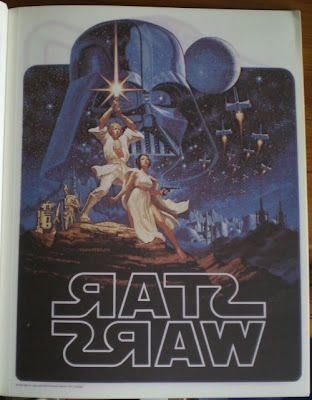 A few decades pre-Photoshop, so I'm sure they had Darth Vader and the rest in these t-shirt for the cover. 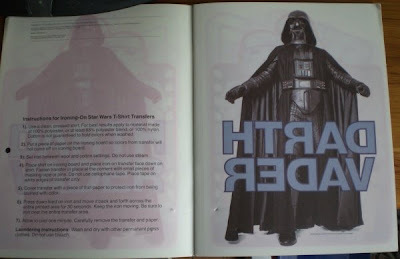 They're all backward, and over the 30 years, the transfers have copied themselves to the opposite page a bit. 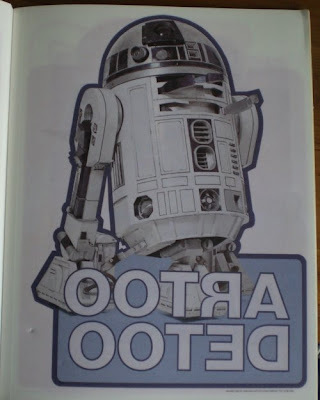 "Artoo Detoo" instead of R2-D2. 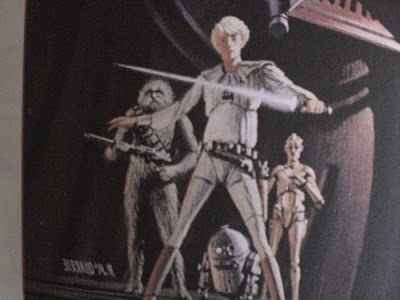 One of our favorites...the old promotional poster that don't really look anything like the real characters.